Award-winning flutist Jesus Castro will offer a recital featuring Colombian chamber music -- including some pieces never heard by audience members -- at 7:30 p.m. Wednesday, Nov. 14, in Sheldon Hall ballroom as part of SUNY Oswego's Ke-Nekt Chamber Music Series. Castro will perform both solo and with accompaniment. SUNY Oswego music faculty members, both global concert artists, Robert Auler on piano and Trevor Jorgensen on clarinet also will perform. A preconcert talk will take place at 7 p.m.
"The first half of the concert will feature repertoire that Jesus and I have performed twice already: once at a chamber music festival in Lima, Peru, and once in Cartagena Colombia," said Auler, chair of the college's music department. "The featured work is the landmark set of variations for flute and piano by Franz Schubert." Auler added, "I'm most excited about the second half: We have asked Jesus to select Colombian pieces that our audience will hear for the first time." The concert will highlight the work of composers Luis A. Calvo, Heitor Villa-Lobos, León Cardona, José Revelo, Luis Uribe Bueno and Jaime Romero. Hailing from Cartagena, Colombia, Castro was laureate flutist in the 2009 Colombian National Flute Competition in Bogota. 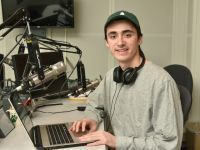 He also won competitions at University of Southern Mississippi, where he earned a master's degree in flute performance and a doctor of musical arts degree in both flute performance and pedagogy. He earned a 2015 award from the Colombian National Department of Culture. "Jesus is such a versatile performer -- and one of his research interests lies in Colombian flute music," Auler said. "He has become a terrific friend and colleague, and we have truly enjoyed collaborating, hanging out, and so forth." 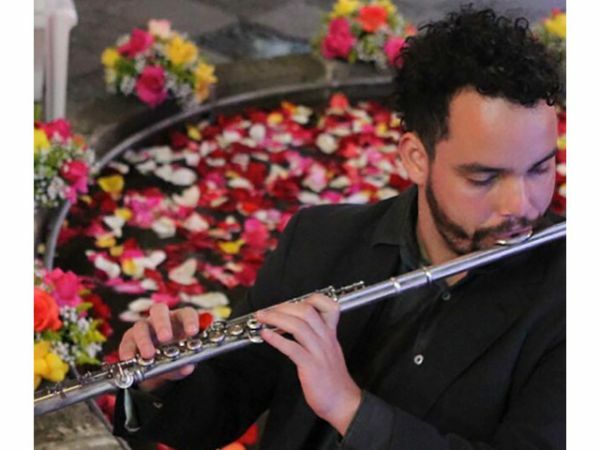 Castro, who has performed in such countries as Ecuador, Colombia and the United States currently holds the position of flute professor at Universidad Distrital Francisco José de Caldas ASAB in Bogota. Tickets for the recital are $15 ($5 for students kindergarten through college) and are available at any SUNY Oswego box office, online at tickets.oswego.edu or by calling 315-312-3073. People with disabilities in need of assistance to attend should call 315-312-3073 in advance of the concert.